If you like to receive SYCHIL then your best is SILVER or GOLD LEVEL, Silver offers 25% off SYCHIL and Gold is complimentary FOR THE DIGITAL version, 25% off print. 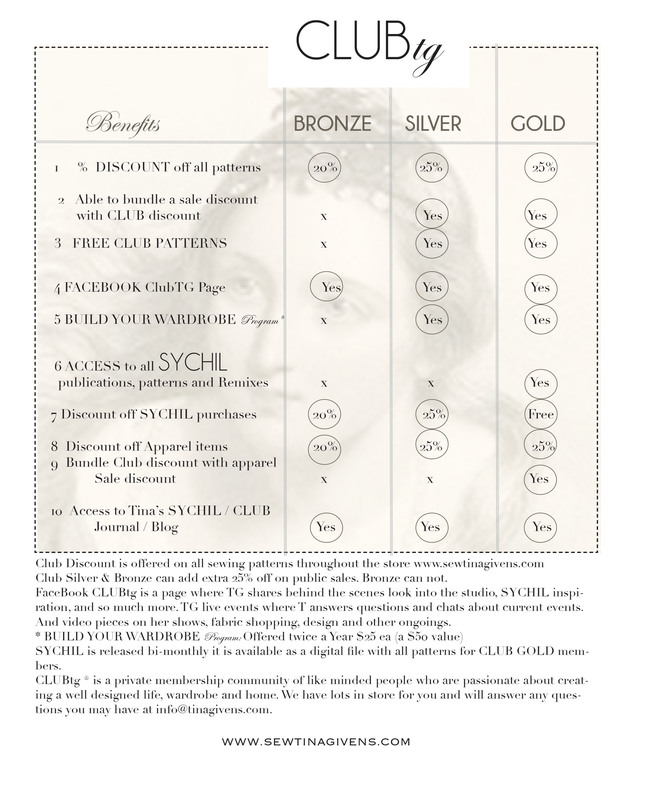 If you are looking for an easy 20% off all our patterns any day, a closer look with FaceBook Page CLUBtg, then BRONZE is perfect. • Our new program DESIGN YOUR WARDROBE is a seasonal program offering patterns, insight and selection for you to design and create your seasonal wardrobe. Free with Silver and Gold (a $50.00 value). Join the Club. There are three levels all with great benefits. See which one suite you.